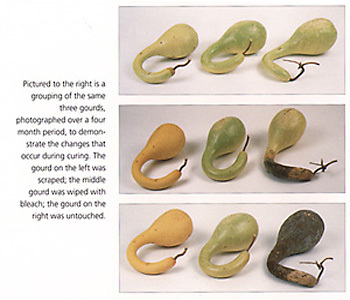 You'll study the effects of different drying methods for gourds. 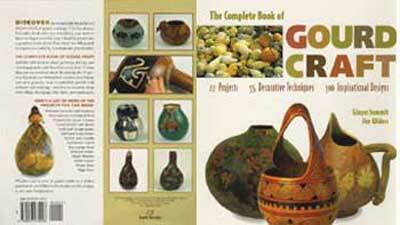 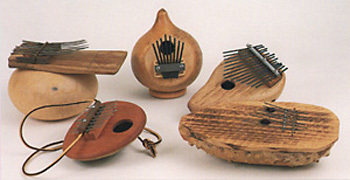 You'll see many examples of contemporary and historical uses of gourds. 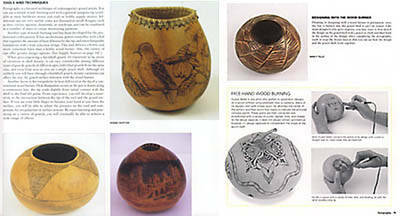 You'll be able to complare different woodburning techniques, as well as learn to carve with both motorized and hand tools. 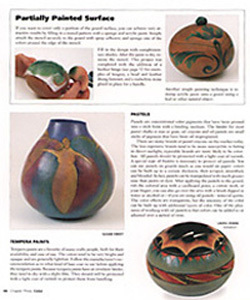 You'll find detailed instructions for applying stains, dyes, paints, pastels and oil to gourds, as well as detailed instructions for cleaning and finishing gourds.